This page is intended to provide current and admitted graduate students with the information and resources they need to succeed in the Graduate Institute. Information presented here is extracted or summarized from the Academic Policies guide. All students are encouraged to review the guide in its entirety prior to enrolling, and may reference it at any time. Questions about the Graduate Institute can be directed to Brandon Wasicsko, Associate Director at brandon.wasicsko(at)sjc.edu or 410-626-2543. The Graduate Institute curriculum is divided into five segments: Literature, Mathematics and Natural Science, Philosophy and Theology, Politics and Society, and History. Each segment consists of a seminar and a tutorial. Two or three segments are offered each of the three semesters - fall, spring, and summer. Students in the MALA complete four segments and four preceptorials in any order that is compatible with both their interests and the availability of course offerings, except that the History segment may never be taken as the first segment. Students taking the Certificate in Liberal Arts Education complete two segments and two preceptorials. Certificate students are not eligible for the History segment. One of the two preceptorials must be the required Liberal Arts Pedagogy course, which is offered each summer. The seminar is the heart of the St. John’s program. Classes meet to discuss a reading that is usually 20 to 100 pages long. The tutor opens by posing a question, then students and the tutor discuss the question and related problems based on the assigned text. Discussion is usually wide-ranging, exploratory, and characterized by openness and rigor. Toward the end of the semester, each student completes a one-on-one oral examination with his/her tutor based on a question posed and developed by the student (see Academic Policies guide). The emphasis of a tutorial is on close reading and analysis of a short text. Students usually write two brief papers on readings discussed in the tutorial class. Preceptorials are small classes that meet to study a single book, topic, or question in depth. Topics vary widely from semester to semester, depending on the interests of students and tutors. At the end of the preceptorial, students write a major essay on a topic of their choice related to the work of the preceptorial. Essays are expected to be of substantial length (usually 3000 to 4000 words; 12 to 16 pages) and to show evidence of serious thought and inquiry. Students who have completed at least two segments of the MALA and who have demonstrated considerable facility both in writing and in-class conversation may petition for permission to write an optional Master’s Essay. A Master’s Essay may replace one preceptorial or it may be undertaken in addition to the full MALA degree requirements. In both cases, the tuition is equal to that of one graduate course. Students who wish to pursue the Master’s Essay option should consult with the Associate Dean before beginning the application process. The Associate Dean can help suggest tutors who may be willing to serve as an advisor during the writing of the essay. See the Academic Policies guide for information about student evaluation. Given the pace of the summer semester, advance reading is encouraged. See the current GI reading lists. Classes meet 2–4 p.m., Monday–Friday. All new students are required to participate in orientation and registration activities prior to the start of their first class. These activities, which include an opening seminar, a meal, and formal enrollment procedures, generally take place on the Sunday afternoon and Monday morning directly preceding the first class meeting. An orientation schedule will be communicated by email well in advance of the start of the semester. Campus housing is available to students taking the summer term at the Graduate Institute. Students are housed in single rooms in campus dorms with shared baths on our historic campus in downtown Annapolis. Dorms open to students one day prior the start of their first class, and must be vacated the day after classes conclude. The specific move-in time and procedure will be communicated in advance of the start of the semester. Note: due to maintenance, staffing demands, and other activities hosted at the College, we are unable to accommodate early check-ins or late check-outs. In the event dorm space is in short supply, first priority will be given to full-time students. The campus dining hall is open for breakfast, lunch, and dinner on weekdays during the seminar and tutorial session only. Students can pay the per-meal price to dine on campus (summer 2019 pricing TBA). Campus dining is not provided during the preceptorial sessions. Kitchen facilities are available in the dorms for students who would like to prepare their own meals. Graul’s Market is the closest grocery store to campus. There are also dozens of dining options within walking-distance. Food is served at social events hosted throughout the week (e.g. After-Seminar Gatherings, Bocce & BBQ). Graduate students may purchase a campus parking pass from Public Safety during registration. The summer semester is intensive. For that reason, advance reading is encouraged. When selecting books to use, consider visiting the St. John’s College Bookstore, which stocks numerous editions of all program books. The bookstore also maintains a binder with notes from tutors about various translations and editions. You may wish to consult this in advance, either in person or by calling the bookstore at 410-626-2540. You may also consult the library catalog to see which editions are held there. Whenever possible, choose editions with line or paragraph numbers. Questions about readings, or the St. John’s program generally, can always be directed to the GI Office. Annapolis is conveniently located between Baltimore and Washington, D.C., and is situated on the Chesapeake Bay. The state capitol of Maryland and home of the U.S. Naval Academy, Annapolis is internationally known for its world-class sailing opportunities, seafood, and historic preservation. Learn more about how you can spend your free time in and around the city at Visit Annapolis. Students participating in the summer semester of the Graduate Institute through the BASIS-SJC Seminar Institute should review the BASIS-SJC Frequently Asked Questions for additional information specific to you. The fall and spring semesters of the Graduate Institute operate in conjunction with the standard academic year calendar, running 16 weeks each. Classes meet twice per week, on Monday and Thursday evenings. Tutorials: Monday and Thursday, 5:15–6:30 p.m.
Lecture Series (optional): Friday, 8 p.m.
All new students are required to participate in orientation and registration activities prior to the start of their first class. These activities, which include an opening seminar, a meal, and formal enrollment procedures, take place on the first day of the semester, prior to the first class meeting (generally starting at 11 a.m.). An orientation schedule will be communicated by email well in advance of the start of the semester. Campus housing is not available to graduate students during the academic year. Students may consult bulletin board postings and online resources to find housing in Annapolis. The GI Office may, from time to time, pass along housing opportunities that are shared with us. Students often coordinate housing with one another. The campus dining hall is open for breakfast, lunch, and dinner on weekdays, and for brunch and dinner on the weekends. Students can pay the per-meal price to dine on campus. In addition, the McDowell Coffee Shop serves snacks and light meals, and is open between classes on Mondays and Thursdays. Food is served at social events hosted throughout the semester (e.g. After-Seminar Gatherings, Bocce & BBQ, Pre-Preceptorial dinners). There are also dozens of dining options within walking-distance of campus. St. John’s is a lively community of learning. Conversations begun in the classroom spill over onto the quad and the coffee shop, and our students naturally pursue life outside the classroom with the same passion and intensity that they bring to their studies. Graduate Council is a representative body of graduate students whose purposes include: to represent the graduate students of Annapolis on all matters pertaining to their general welfare as graduate students; to provide for and organize regular graduate student gatherings; to provide for and promote other graduate student extra-curricular activities; to provide for the welcoming and orientation of new graduate students; and to provide a formal means of communication among graduate students and undergraduate students, the Associate Dean of Graduate Programs, the Dean, and the President of the college. Two representatives from each seminar are elected to the council at the beginning of each term, but all students are encouraged to attend meetings and offer student insight into any aspect of the St. John’s experience for the council to discuss. Colloquy is the journal of the Graduate Institute in Annapolis, published each semester. The journal accepts academic and non-academic writing, artwork, poetry, and more. Contact the Colloquy editors at colloquy(at)sjc.edu. Graduate students may propose and lead study groups on a particular book, author, or question. Study groups are open to the entire St. John’s community at no cost, including fellow GIs, undergraduates, tutors, staff, and alumni. There is a robust and active intramural sports program during the academic year. Sports played include: soccer, football, ultimate Frisbee, basketball, netball, volleyball, and more. The Annapolis campus bookstore is located in the basement of Humphreys Hall, across the lawn from the west entrance of the coffee shop in McDowell Hall. The bookstore stocks all books required for St. John’s classes. 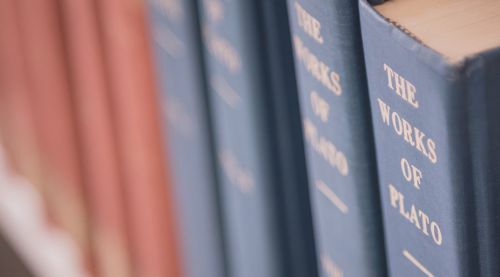 Several translations and editions are available of most texts on the reading list, and the bookstore keeps a list of recommended editions and a compilation of book advice, opinions, and comparisons by St. John’s tutors. If you have questions, the staff of current students and alumni is well-acquainted with the Program and will happily help you make the best purchase for you. Please stop by or call 410-626-2540. The Greenfield Library at St. John’s College supports the teaching and learning that occurs at the College. The library holds multiple copies of all program books, maintains computers for writing and printing of papers, hosts exhibits, and provides reference assistance, among many other services. The Graduate Council organizes and hosts After Seminar Gatherings every Monday during the academic year, and at various times throughout the summer. Food and drinks are served in a social atmosphere that enables graduate students to get to know fellow students and tutors. The summer All-Campus Seminar takes place in lieu of one Wednesday night lecture. The Graduate Council chooses a short reading, which members of the St. John’s community gather to discuss. Opening questions are asked by current GI students. Refreshments are served after the seminar. Every semester, the Graduate Writing Assistant collaborates with the Associate Dean to host a workshop on writing in the Graduate Institute. Topics addressed include the nature and purpose of writing at St. John’s and writing resources available to assist students. All students and tutors are welcome to attend. In mid-April before the annual Croquet match between St. John’s and the Naval Academy, the Graduate Institute hosts a Croquet Reception for current students, tutors, alumni, family, and friends of the GI. Light hors d’oeuvres and beverages are served before the match begins. The summer Wednesday Night Lecture Series is hosted by the Annapolis Graduate Institute. Lectures, delivered by St. John’s tutors and guest speakers, are free and open to the public. A question period follows each lecture. During the last week of every semester, graduate students who have just completed the program are celebrated in the company of fellow students, tutors, administrators, family, and friends. Prior to the event one degree candidate is selected to offer a toast to tutors and one tutor is selected to offer a toast to the degree candidates. Typically, classmates offer toasts to one another, the program, or to an idea or author. Log in to your MySJC portal to access fee statements and other information individualized for you. Access your St. John’s email account at outlook.com/sjc.edu. All students are required to activate their St. John’s email accounts when they first enroll, and are responsible for checking their email regularly throughout their enrollment. All students are strongly urged to register for e2Campus, which is the St. John’s emergency notification system that enables college administrators to send emergency alerts to all members of the campus community. Students who plan to park on campus must register their vehicles each semester for campus parking permits. A member of the Public Safety Office attends Orientation every semester to help graduate students purchase permits. Your current insurance card, vehicle registration, license plate number, and $50 cash or check payment are necessary. The deadlines for making an advance deposit, which guarantees the student a seat in and financial aid consideration for the upcoming semester, are as follows. Note: all students, even those with financial aid grants or loans, are required to pay this advance deposit. Late fees are assessed for payments submitted after these deadlines. See tuition and fee policies, as well as payment options, by logging into your MySJC portal. Learn more about Graduate Institute tuition and fees—including summer housing, medical insurance rates, and more. Learn more about financial aid available to graduate students, including special funding opportunities for teachers. To be considered for financial aid, United States citizens must submit a new Free Application for Federal Student Aid (FAFSA) every year, even if they have received aid in the past. International students who want to be considered for financial aid must submit the CSS Profile every year, even if they have received aid in the past. The Annapolis FAFSA code is 002092. The Annapolis CSS code is 5598. All graduate students enrolled more than half-time are required to maintain health insurance coverage. A plan, offered through the College, is automatically applied to a student’s bill each year, but may be waived online by submitting proof of other coverage. The Wednesday night lectures, held on the Annapolis campus in the Great Hall at 7:30 p.m., are free and open to the public.